Hi! Today I am so excited to share with you some of the cards I made using the August Paper Pumpkin kit!! As most know, I get the kit every month, but rarely do I sit down and do it. This one, I did!! I LOVE IT!! The kit is called Giftable Greetings and comes with 8 cards and a gorgeous box with a clear lid to put them in so you can gift them to a friend or family member! 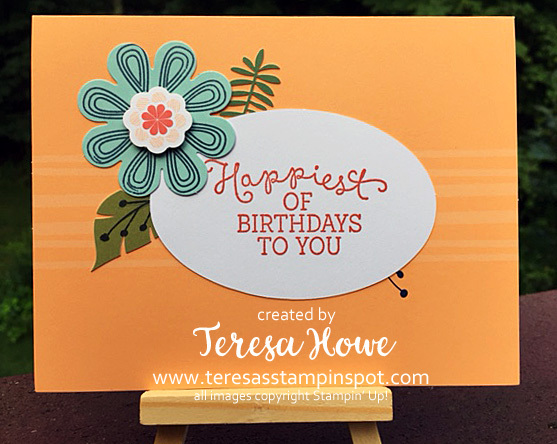 The colors are so bright and cheerful – and there are tons of supplies – so I’ll be making more than 8 cards using other card stock and Designer Series Paper. 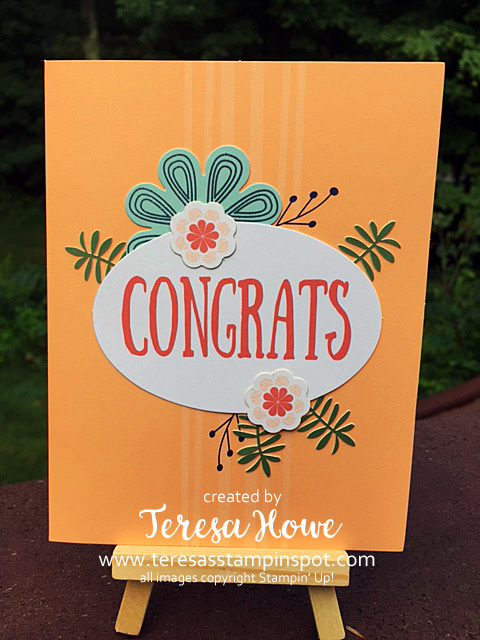 The kit has 6 stamped Thanks ovals, 6 stamped Congrats ovals and 6 blank ovals. Since I don’t need quite so many Congrats cards, I flipped some of those over and created Hello and Happy Birthday cards instead. I still have 10 ovals on which to stamp more sentiments! Here is a closer view of some of the cards. 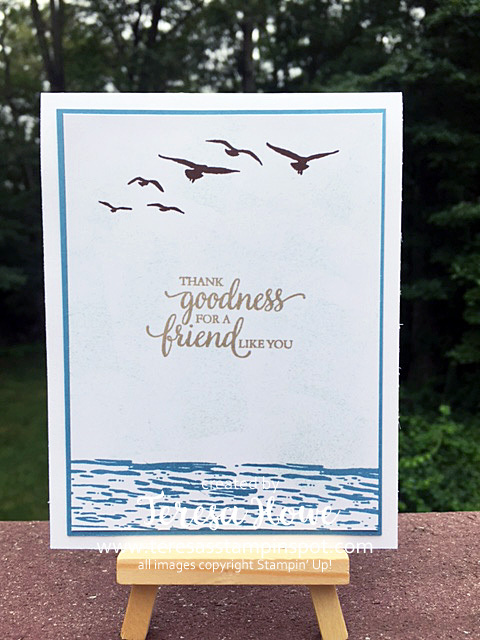 These two use the pre-stamped sentiments that come in the kit. This next one uses the sentiment from Birthday Blooms. I also rotated the card to make it landscape vs portrait. The sentiment is stamped in Calypso Coral. Are these cards gorgeous or what? The flowers remind me a bit of Hawaii – thus a little pop of paradise. Are a Paper Pumpkin subscriber? Did you get the August kit? No? As a current subscriber, you are able to buy past kits and refill kits – I expect these will go fast once they are announced later this month. If you are not a current subscriber – subscribe today!! Use promo code HALFOFF0917 and save 50% on your first month!! Sign up here! 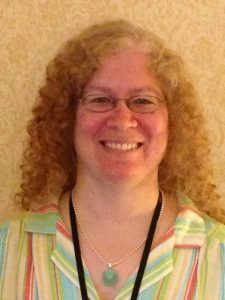 Current subscribers and past subscribers – if you have signed up with me and receive the September 2017 kit, I will enter you into a drawing for a 3 month pre-paid subscription! Drawing will be held near the end of September. Don’t forget, Bonus Day Coupons expire on August 31st!! If you haven’t redeemed yours yet, now is the time!! Shop my on-line store here and get those savings today!! Hi! Today I am back with a card we made at Friday’s Any Occasion’s class. The goal of the class was to make cards that just needed a sentiment for the occasion on hand. This card uses the High Tide and So Many Shells sets. The water and birds are from High Tide while the sentiment is from So Many Shells. These two sets work so well together. The water is stamped with Marina Mist ink, the birds with Chocolate Chip and the Sentiment in Sahara Sand. It may be a little hard to see, but Soft Sky ink was dabbed on using a sponge for the sky. The stamped panel is mounted to a Marina Mist panel and the base is Thick Whisper White. A very quick and easy card that can be used for masculine birthdays, thanks or could also be used for a Sympathy card. Just a reminder, if you earned a bonus coupon in July, please use them before August 31st! I’d hate for you to lose out on that savings you earned! 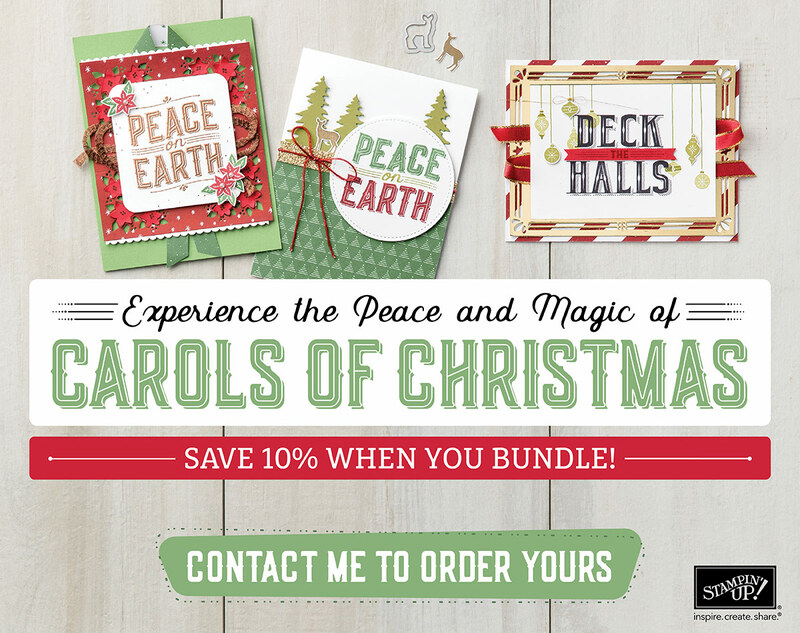 Also, the Carols of Christmas bundle can be ordered this month so you can get a head start on those Christmas projects! Order your bundle in my On-Line store here! Hi! Today I am hopping with the Stamp It! Team for a Fall Themed Blog Hop! 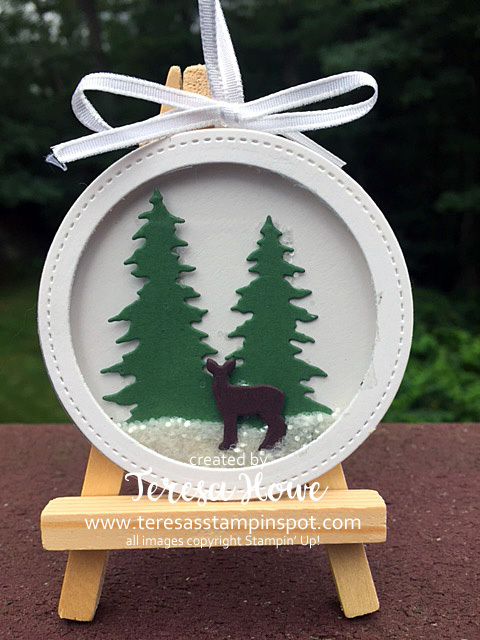 I am also giving you a sneak peek at a new set that will be available on September 1 in the Holiday Catalog. This set is so pretty!! I love how the sunflowers turned out. They are stamped in Crushed Curry and Chocolate Chip. The sentiment is stamped in Crumb Cake. There is a matching leaf punch so you can bundle the two items together for a 10% savings. Be sure to add this bundle to your Holiday Catalog wish list and then stop back on September 1 to place your order! Make sure to leave a comment below with the #stampitcontest hashtag to be entered to win this great prize! 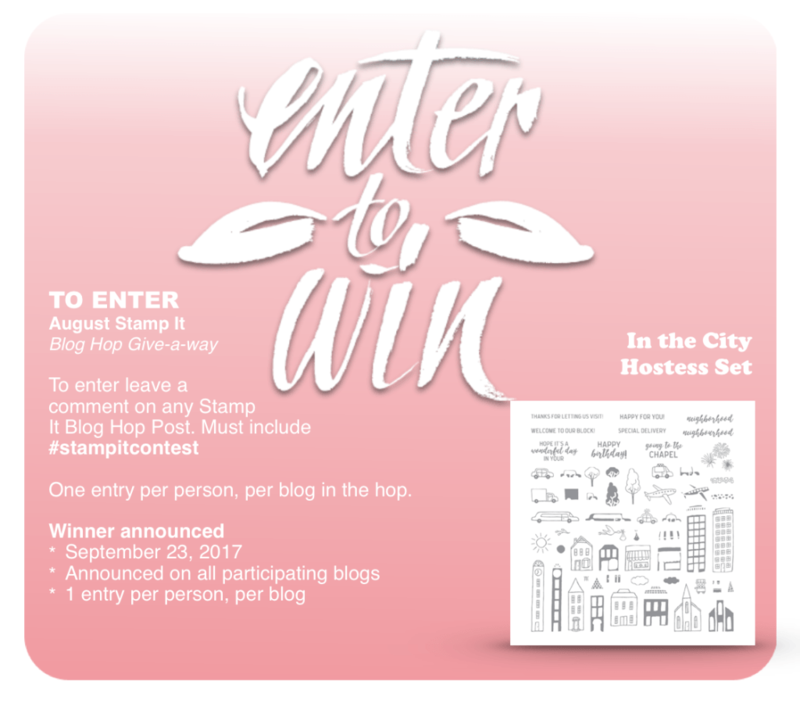 Congratulations to our July Hop Winner!! Now hop on over and check out all the other great fall projects! Hi! 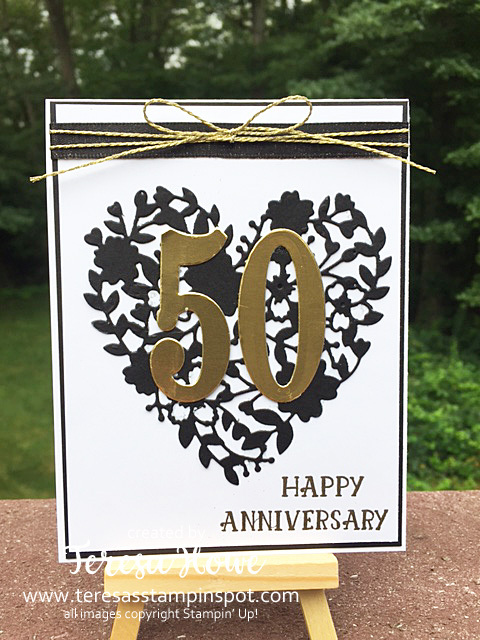 Today I am sharing a card I made for neighbors who are celebrating their 50th anniversary today. I used both the Large Numbers and Blooming Heart dies for the front of the card. The numbers are die cut from Gold Foil sheets while the heart is die cut from Basic Black card stock. The sentiment is from the Number of Years stamp set and is embossed in Gold Embossing Powder. I used the new Basic Black Shimmer Ribbon and Gold Bakers Twine (retired) for the bow. I had planned on using the Gold Thread in the current catalog, but found I didn’t have any – going on my list! I hope they like the card! Hi! Today I am playing along with the sketch challenge over at Global Design Project – #GDP098. I have to admit, this one stumped me for a bit. I had my banners, but didn’t know what to do with them after that. I tried the bee’s nest and bees from A Little Wild – but didn’t like how that looked. I thought about flowers – but it seems like that is the typical fall back, so didn’t want to go there. Then it dawned on me – balloons for a birthday! And, there you have it. The banners are from the Delightful Daisy DSP pack as well as the Eastern Palace DSP pack. 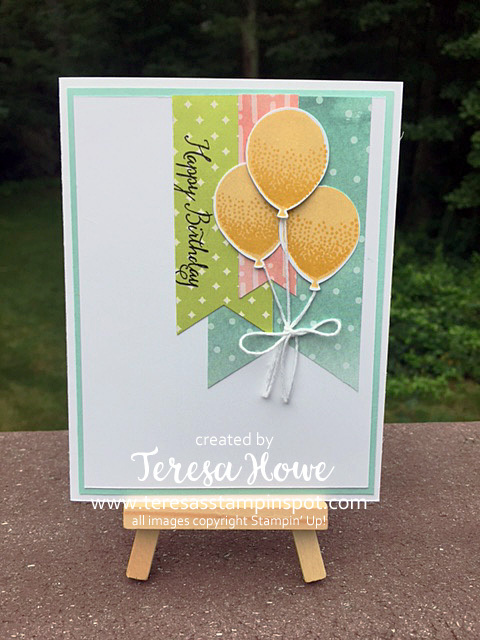 The balloons and sentiment are from the Balloon Celebration set. The balloons are stamped in So Saffron and Crushed Curry. The sentiment is stamped in Black Archival ink. My layers are Whisper White and Pool Party. The base is Thick Whisper White card stock. Once the creative juices kicked in, a relative quick and simple card. What do you turn to when your mojo has taken a vacation? Hi! Today I have a quick but so sweet card to share with you today. I don’t often pull off Clean and Simple cards – but I just loved how he turned out. This little guy is from the A Little Wild set – great for little ones as well as big ones. I used Watercolor Pencils – Early Espresso and Daffodil Delight to color the images. The Designer Series Paper strip is from the Delightful Daisy pack. My sentiment is from the Eastern Beauty set – I just love the font – and is stamped in Old Olive. What do you think? Would this card put a smile on your face if it arrived in the mail? Yes? Then leave a comment below and I’ll email you for your address and make one of these cuties to send you! Hi! Thank you so much to all of you who have left comments on my recent posts! I so appreciate it!! 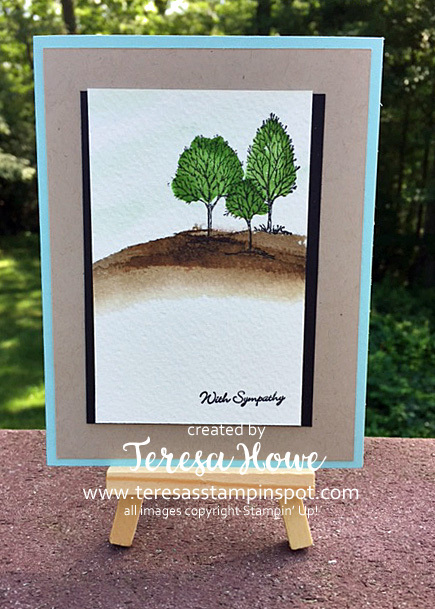 Today I have another card featuring the Lovely As A Tree set – a must have for every stamper! This is done on Watercolor paper. I used the “grass” swish from Sheltering Tree inked in Early Espresso for my ground and then stamped the trees in Basic Black Archival. I used an Aqua Painter and Garden Green ink to color the trees and Pool Party to color the sky. The sentiment is from Teeny Tiny Wishes. It felt great to pull out some of the current “older” sets to play with – since the focus has been primarily on the new sets in the catalog. What set in your stash hasn’t seen ink in a while?